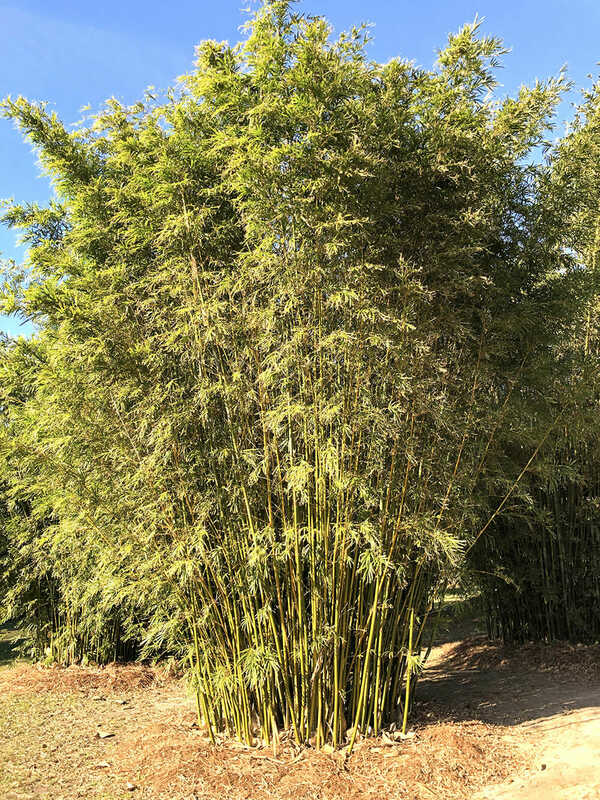 Medium height tropical bamboo with tight clumps. Canes have thin walls which make it popular for weaving. Bambusa textilis ‘RG Dwarf’ is a tropical clumping bamboo. It grows up to 18 feet tall, which makes it a great species for a shorter privacy screen. 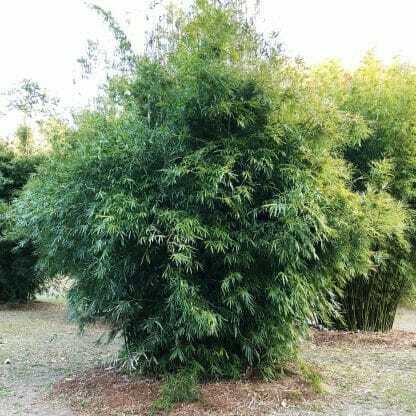 Tropical bamboos like this should only be planted in climate zone 8 and above. Slow form a privacy screen like all clumping bamboo, but for most installations a control barrier is not necessary. The textilis species has very tight clumps which makes it a slow spreader. 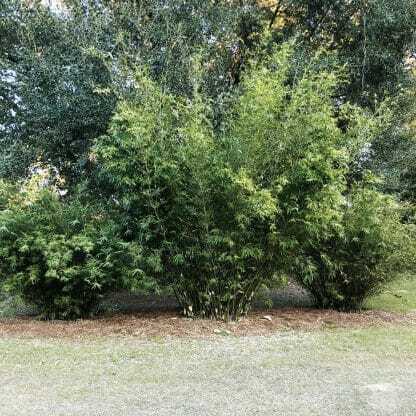 It will slowly grow outwards from the center forming a clump. Please keep in mind this bamboo is for tropical climates that never reach below 18°F.